Description: Bill Lane is the ultimate bowler. Driven, focused and averaging in the mid 200’s, he’s bowled so much he’s achieved a Zen-like attitude when it comes to the game. Unlike most sportsman, Bill plans on playing the game until he’s dead and will probably be found one day on an alley with a ball in one hand and a hot dog in the other. 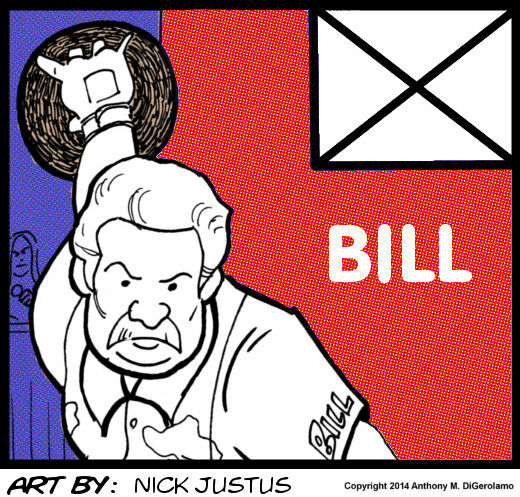 Bill doesn’t bowl as a hobby. He works so he can continue to bowl. Bill married his teammate, Pamela, twice. They had an intense on-again, off-again romance because of their intense love of the game.